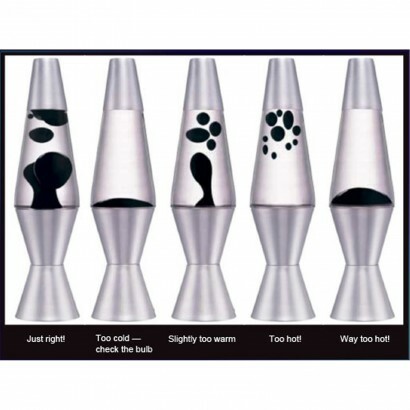 Just like the original iconic lava lamp, just on a smaller scale, the 11.5" lava lamp is a little more slimline making it more suited to desktops and smaller table tops for relaxing mood lighting. 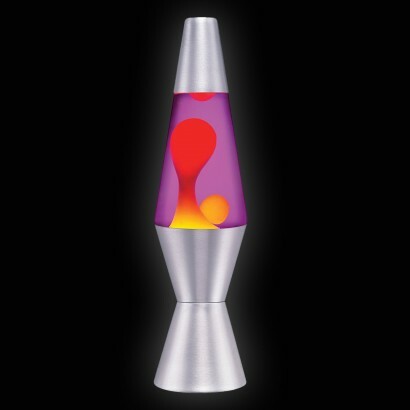 A kitsch colour combo of yellow wax and purple fluid make for a unique lava colour effect as the blobs of wax rise and fall through the lamp. Finished with a brushed chrome end cap and base, this stylish lamp brings retro charm and chilled out vibes to your interiors.